Home » ICICI Bank: failure to login to internet banking is consistent for last 3-4 months! 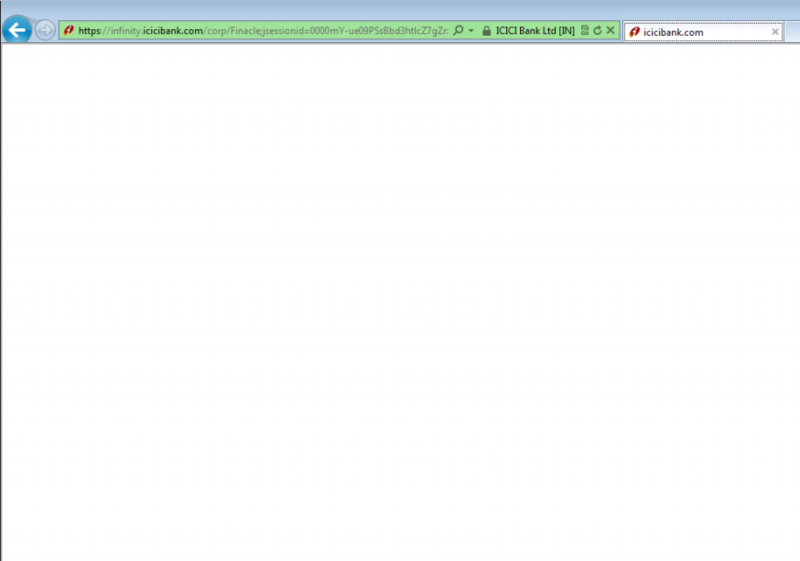 For last few months, I have been seeing problems whenever I try to login to ICICI online banking. Every time, it gives the error as wrong password 2 times, but after calling up customer care and trying logging in on 3rd try, it works! The customer service people always say that it is to do with server maintenance which may happen anytime during the day. Their solution is to try logging in after some time, presumably by when the server maintenance will be over. They also suggested using Internet Explorer rather than Chrome browser. That led me to go back to using IE only for the purpose of login at ICICI Bank site. I never seem to be able to log in to ICICI without needing to call customer help because my password is never what I set it to be when I return. I get the most condescending help from them (are you entering the details correctly? Well duh), and they aren’t able to help me at all – they just told me to try resetting my password again in 2 days. It’s the worst login security system I’ve ever come across, where the user is hindered far more than the thief!! Right password not working used to happen with me sometimes long time back, and the customer care response was to try again after 30 minutes or so, and the same password then used to work! Bravo, it’s like reboot your windows machine! I have had same issues with yes bank at a time, but wasn’t able to prove it… my best guess is sometimes these banks reset customer passwords for whatever security or internal reason, but don’t want to disclose it to customers else they will look stupid, so they come up with the excuse that customer must be entering the wrong password. In general India doesn’t have the culture that people can admit honest mistakes anyway. the url loaded changes to https://infinity.icicibank.com/corp/Login.jsp?_ga=1.91278812.734001507.1463722372 and even imobile app is not working, I had some important transactions to do. Whenever you get such issues, grab a screenshot (along with date/timestamp of computer clock), and save it as reference. You can also send that screenshot to ICICI bank helpdesk and that will be good proof that problem happened at so and so time/date. 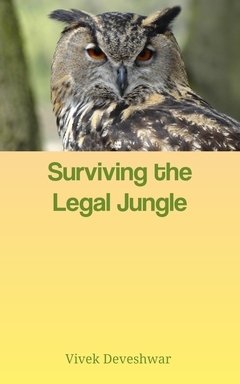 The issue is occurring on all three browsers- IE, Chrome and Mozilla browser. Once I enter the user id and password and then click on Login button, the page dows not load. The error message is “Page temporarily not available”. This is not internet connectivity issue since all other websites are working fine for me. PFA screenshot. Haven’t faced any login/password issues in last few months, in fact not after I had put up this blog post. >>Raghuram Rajan said “ICICI bank is too big to fail”. I don’t think Indian banks are in as bad situation as many of Western banks, but when they say too big to fail, it means the small guy will be beaten with stick and allowed to die if that be it, but the big guys will get protected using taxpayer money. On another note, I have no idea why RBI is so hell bent on protecting large defaulters from being named publicly… It’s crony capitalism basically. We request you to check if you have bookmarked/added as favorite the old login page. Please try login using the mentioned path flow: visit http://www.icicibank.com&gt; Click on login> click on personal> click on continue to login and then login with userid and password. I had tried the same path you have mentioned at that time too, and the same was mentioned in call to phone banking support. Though I have not faced that particular issue for the 2 times or so I logged in after that. I hope it has been resolved by now. I am facing the same issues intermittently. Once in a while, it even does not show me my Fixed Deposit details ! ICICI bank is one of the most painful net banking sites to use. Why does it have to use Java plugin when I use Firefox (latest version 37 as of now, and previous versions too)? The site is slow and broken. Asking you to use IE is strange. Asking average users to use IE would be very insecure. Although latest versions of IE may be secure, I have found that most users do not bother to update it. I recently received a mail saying that they won the award for best online banking. How? I can’t enter into login page at all from my mobile. Even imobile app also hangs. A reader’s comment within few hours of my post! 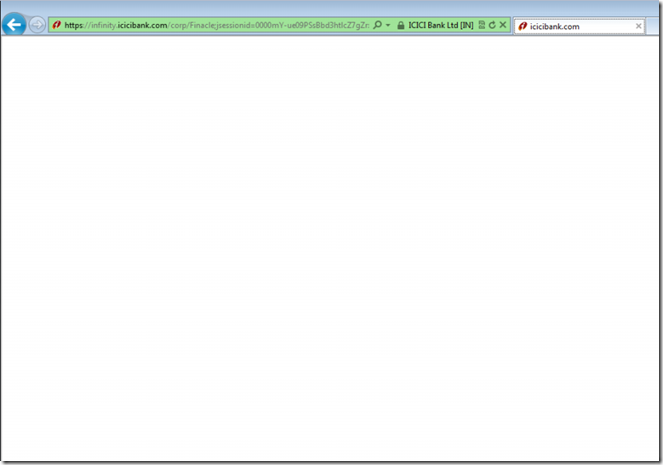 Maybe ICICI bank website seems to have gone haywire.